FatBlaster Clinical is Australia’s latest breakthrough in weight loss to help you lose up to 6x more weight than diet and exercise alone. In a 2016 Clinical trial, the FatBlaster Clinical formula* was shown to help users lose up to 6x more weight than dieting and exercise alone. 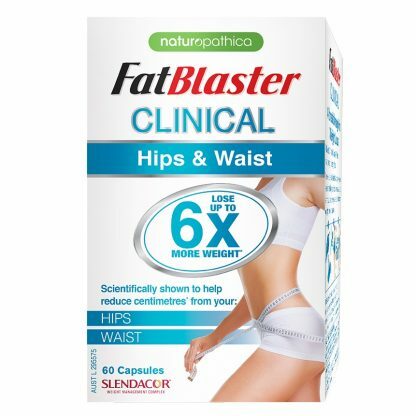 FatBlaster Clinical was also shown to help reduce centimetres from hips and waist. 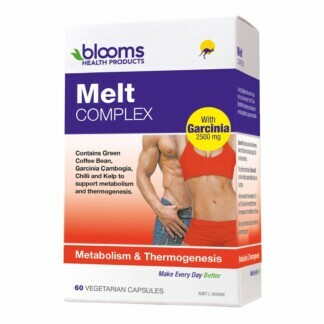 It is thought to help achieve weight loss by promoting Lipolysis which is the process of helping the body break down fat and burn fat. *When used in conjunction with diet and exercise. FatBlaster Clinical contains a formula that is exclusive to FatBlaster and has been clinically studied in its effectiveness. Anyone looking to optimise their weight loss program to achieve their goal. Curcuma longa (Tumeric) ext. equiv. to dry rhizome 2.925g. Moringa oleifera (Drumstick leaves) ext. equiv. to dry leaf 2.16g. Murraya koenigii (Curry leaves) ext. equiv. to dry leaf 945mg. Seems to be working. Only had for 1 week so far, am keeping an open mind.